4-19-18: Kettle Whistle Radio welcomes Johnny Daggers to the show for an exclusive interview. And a special news announcement. 1-12-18 : Lipgloss And Mics Radio-Show Interview. 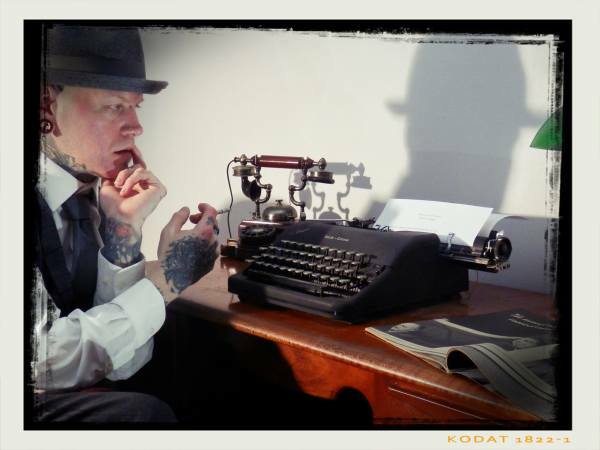 Host Kelly Kel interviews Johnny Daggers about his films, books and more! 9-27-17 : Bottom Shelf Reviews Interview. Ricky Jankowski interviews Johnny Daggers about the world of Indie Film. 9-16-17 : 'Noctambulist' World Premiere at the WorldCon 75 Film Festival in Helsinki, Finland. Johnny Daggers is a professional filmmaker, screenwriter, director, occasional actor, published author, model, and musician. As a filmmaker, he released his first major film 'Blood On The Reel' through SGL Entertainment is 2016. And he has currently finished his 1920s Noir feature, 'Noctambulist' which will also be releasing through SGL Entertainment later in 2018. As an author, Daggers released his first illustrated novel, 'Neverlasting' through Burning Bulb Publishing in 2016. And as a model, he has been featured in well over 30 publications worldwide.